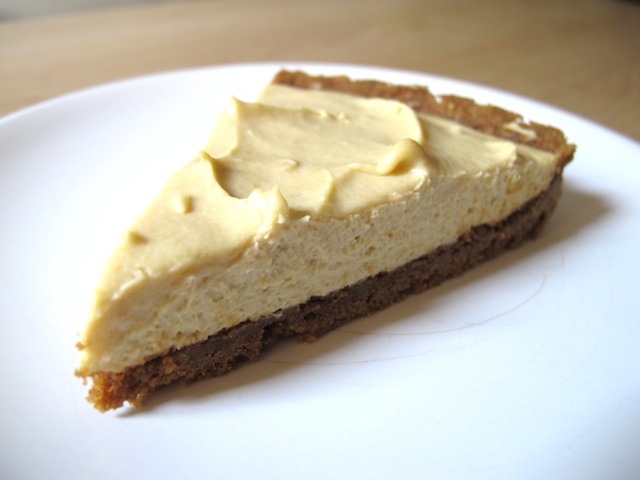 The first time I heard about Mikey Perillo is a news feed from Tastespotting facebook page inviting all food bloggers to commemorate him by making Peanut butter pie. It was his favourite. Jennifer Perillo, a food writer, editor and a mother, lost her husband to a heart attack. I cannot imagine losing someone I love so dearly in such an unexpected way. It is devastating and I wish Jennie well. Let us take this opportunity to reflect. Think about our loved ones and let them know how you feel when you are able to, before it is all too late. The last thing you want to do is take them for granted and regret it later. So to all my friends and family, although I don't say this very often, every single one of you have touched my lives and enhanced it in many different ways. I really appreciate having you by me all this while. You are always close to my heart. 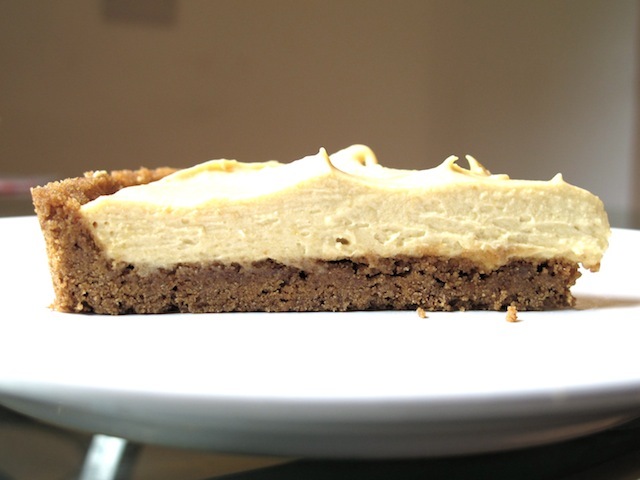 I hope you enjoy this Kaya Cream Pie, inspired by peanut butter pie. I would like to dedicate this pie to all my friends and family and to everyone that I have encountered with, including you, the very few readers of my post. Preheat the oven to 180°C. Add the digestive biscuits into a food processor and pulse it until finely crushed. Mix the crushed digestive, white coffee powder and butter until well blended. Compress the base mixture on to a 9" pie base. Bake in the oven for 15 minutes. When ready, cool and refrigerate. Next, whip the double cream until soft peak. Refrigerate to keep cool. Cream the butter and sugar. Blend in kaya until well mixed. Then mix in the cream cheese until soft and creamy. Fold in the cream cheese mixture onto the whipped double cream. Pour the mixture into the pie base and chill for 4 hours or over night to set.